He recalled that when Obasanjo was the President of the country he declared that he was at liberty to listen or not to listen to his advisers. 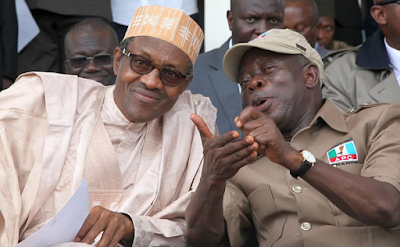 Since Obasanjo is not one of Buhari’s advisers, Oshiomhole said the ex-President should allow the President to make his own decisions. The ex- governor said he was in the Villa to reassure Buhari of his absolute and total support for the government and even for 2019 elections.